If you discover that the expenses are much higher than you’d foreseen, living in your dream home can be frustrating. You may be looking for ways to economize. If so, let’s discuss some home improvement projects that could save you money in the long run. Completing them might help you prevent more costly repairs down the road. You should also see your electric bill go down. If your home doesn’t already have a programmable thermostat, making a small investment in one can save you money. Homeowners who work during the day don’t need to keep the air conditioning set very low while they’re away. With a programmable thermostat, you can economize during the day and allow the AC to come on 30 minutes before you return from work. This will make your house comfortable while you eat dinner and relax in the evening. Although asphalt shingles are the least expensive option when replacing your roof, they also have the shortest life expectancy. On hot, sunny days, your roof turns into a gigantic heating pad, roasting even the best-insulated attics and upper floors. Much of your AC’s effort is wasted in a futile fight against this simple thermodynamic effect. You might want to consider switching to metal roof panels. Metal roofing is known for requiring extremely little maintenance. It’s more durable than asphalt shingles, and it can reflect solar radiant heat, so your home will stay cooler for less energy expended. Tile roofing is also an option. It will give your home a unique look, but these tiles are heavy and tend to break easily. Check the amount of insulation in your attic. Most people don’t realize how much energy in the form of heat and air conditioning they lose through the top of their home. Venture into the attic and make sure there is insulation between the beams and on the floor. Your attic might have blown-in insulation or foam insulation. You’ll need to measure the amount. If you don’t have enough or if you see moisture damage, you should take care of the problem quickly. 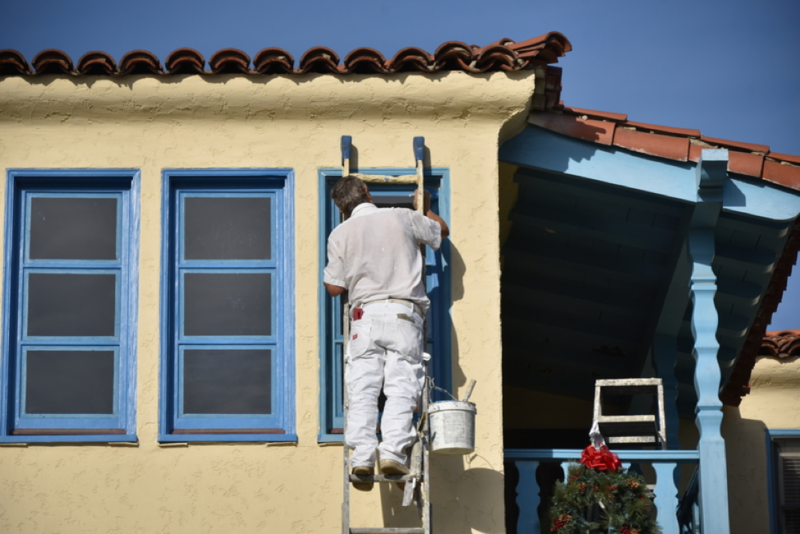 A quick and simple way to maintain your home is painting the exterior. Weather and the elements can damage wood siding if it’s left exposed. You can update the look of your house and protect your investment at the same time. Curb appeal also adds value. If you don’t have time to paint, a knowledgeable company can do the hard work for you. Don’t let your dream home go downhill. Follow these tips for simple home improvement projects that will not only save you money but also make your life more comfortable.